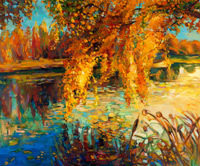 What kind of paintings do you like? Do you have a favourite artist? What music do you listen to? What kind of books do you read? In this audio podcast you’ll improve your ability to answer these questions in English and to talk about the arts in general. You’ll also work on English pronunciation and develop your listening skills hearing people talking about the books, music and art they enjoy. You can get immediate access to all 28 audio classes and eBooks from our Zapp! English Vocabulary & Pronunciation Level 2 podcast, with the Intermediate (Level 2) eBook Pack, available now in our shop. You’ll also get some extra FREE bonuses! i want to download this books. Hi, Thanks for your comment. Here’s a link explaining how to download all our free English podcasts through iTunes. hi tom ,, i have an school and one of our course offer is English proficiency.. can i request for a link that may help my student to enhance their English proficiency. thanks a lot it a big help for us..
I’m very sorry Joylyn but we can’t publish links for our products publicly. 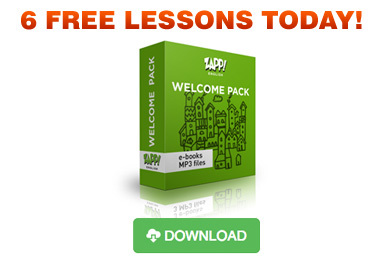 We give away about 50 hours of free audio on the website, and this should help people a lot even without the ebooks. Good luck!